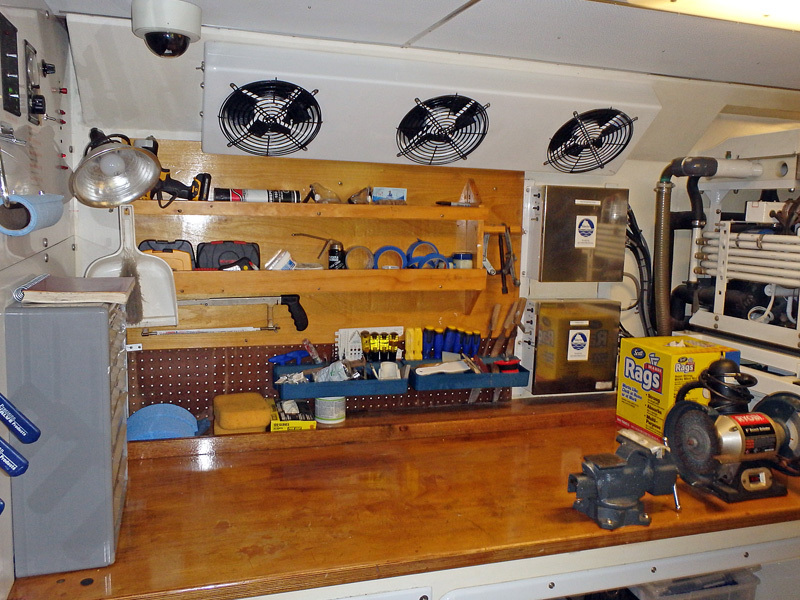 Many owners think of their trawler as a tool. 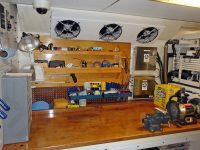 Tool or not, trawlers can certainly fix boredom, help you maintain a healthy lifestyle and repair the damage that living in the modern world inflicts upon all of us. Trawlers offer a passport to adventure that is incomparable to any other non-boating activities. 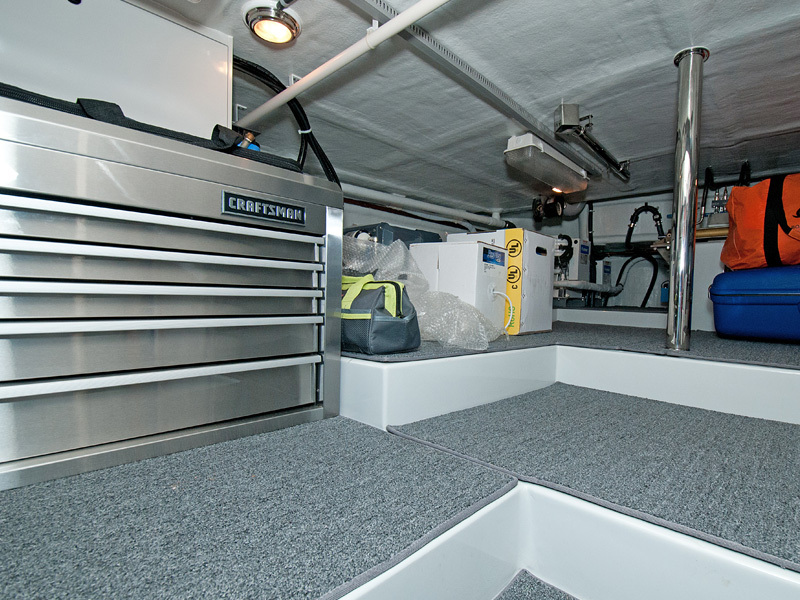 Trawlers provide the comforts of home, protection from the elements and safe, dependable transportation afloat. The independence to travel remotely also requires some self-sufficiency. But don’t think you need to be an engineer or have a background and understanding of the intricacies of every system. Previous knowledge helps, but most owner operators learn as they go. If you take care of your trawler it will take care of you. There is almost always a project to check off your list (and a new one to add). This is easier for those who possess a mechanical aptitude, however, your attitude can overcome a lack of practice if you are willing to learn and eager to try. It is incredibly satisfying to diagnose a problem and solve it using your own hands. Every successfully completed chore builds more confidence and you will become more proficient each time you repeat an adjustment you have done before. 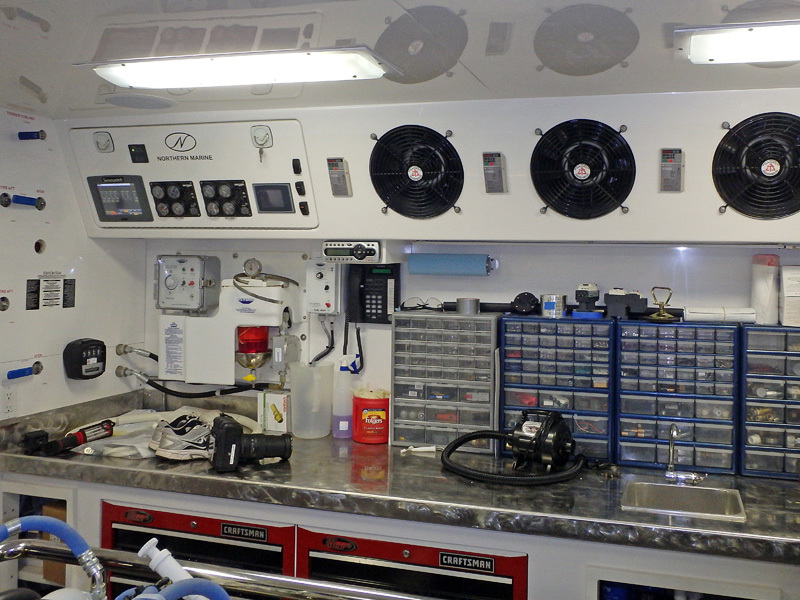 Each trawler has a variety of systems and equipment that need attention. Some are constantly monitored by gauges and meters, others are ignored until they start letting you know something is amiss. 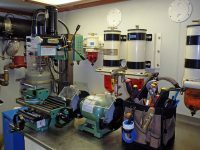 Remember, many components installed on trawlers are products adapted from shoreside applications and can become a bit more temperamental in the marine environment. 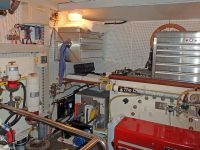 A common galley appliance like a refrigerator, for example, wasn’t originally designed for rolling around or traveling across swells. Your trawler is always talking to you, you need to learn how to listen and the sooner you attend to something out of whack, the easier it is to fix. 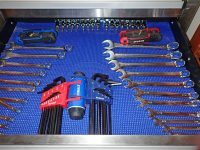 For your own safety and the safe operations of your trawler, it is critical to plan ahead and assemble a varied assortment of hand tools to assist with onboard projects. It seems too common that you are presented with a new learning experience that calls at the most inopportune moment. 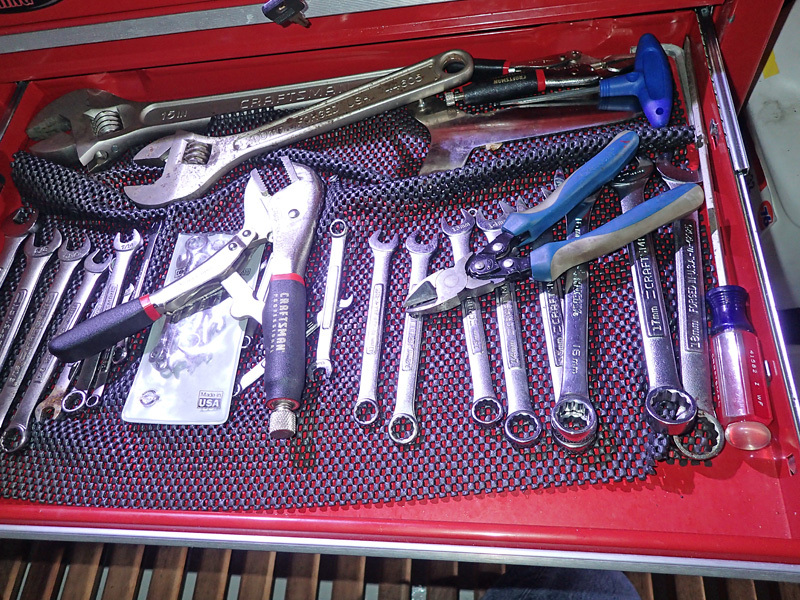 Possessing the tools-of-the-trade will make your onboard life easier. Unfortunately, there is no be-all collection of tools to purchase and stow; it is different for every trawler and for every trawler owner. 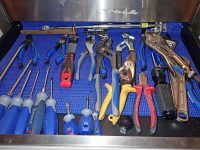 Over the last 30 years, Jeff has enjoyed visiting thousands of cruising trawlers and has paid attention to the assortment of tools that various owners keep aboard in readiness to assist with maintenance and repairs. Give this some thought for your particular trawler and cruising plans. If you are going to be close to civilization you can go ashore and buy what you need, if you are traveling offshore you may have to make do if you didn’t bring it along. How big, how small and how many? 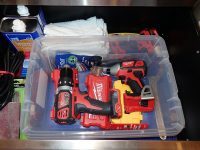 How often will you actually need to use a particular tool? What should you fix yourself and what should you call in an expert to repair? These are important questions to answer before taking off, because once you are away from the dock you really are on your own. Before you depart the convenience of your home slip, you need to determine what you need and take it with you. This is true of many things for cruisers, but particularly applies to tools. 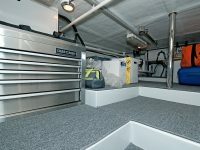 Space aboard is finite and limited, but just like there is always enough room for whatever food, clothing or other provisions you deem essential, you can normally find a place (or several places) to stow your tools. A couple of years ago one of our clients, Kevin Jeffries who lives aboard the Nordhavn 55 Red Rover, collaborated with Jeff to create a detailed list of tools he intended to carry aboard. 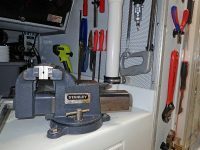 Jeff wrote an article, Trawler Hand Tools, published in the January, 2017 edition of Ocean Navigator magazine, and this investigation into summarizing what are the necessary and useful tools on a trawler became a can opener that poured out an incredible variety of tool choices as complex as the trawler owners who use them. You can download the 2016 PDF of the Red Rover Tool Inventory here. Please take a look at the list and let us know what you think we overlooked and/or what you would add. 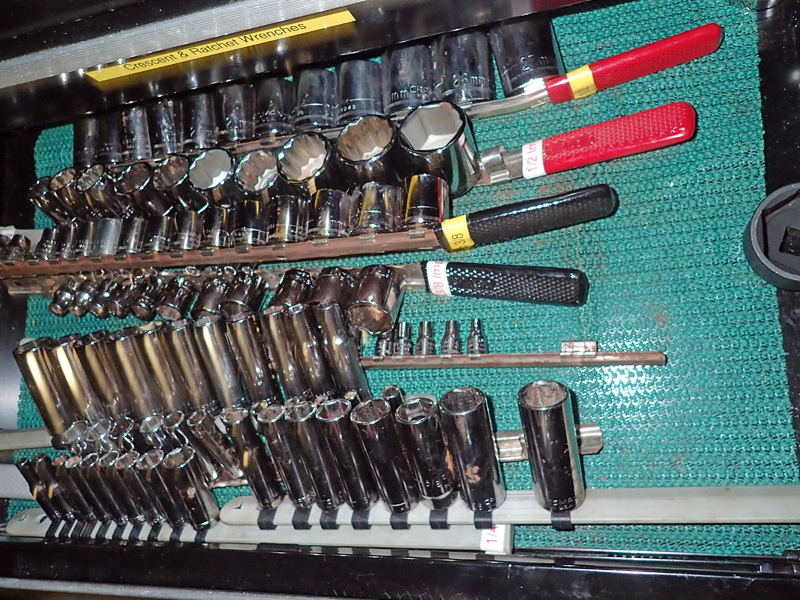 Here is the Ocean Navigator article titled Trawler Hand Tools. 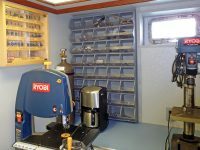 Watch our YouTube video on Trawler Tools! 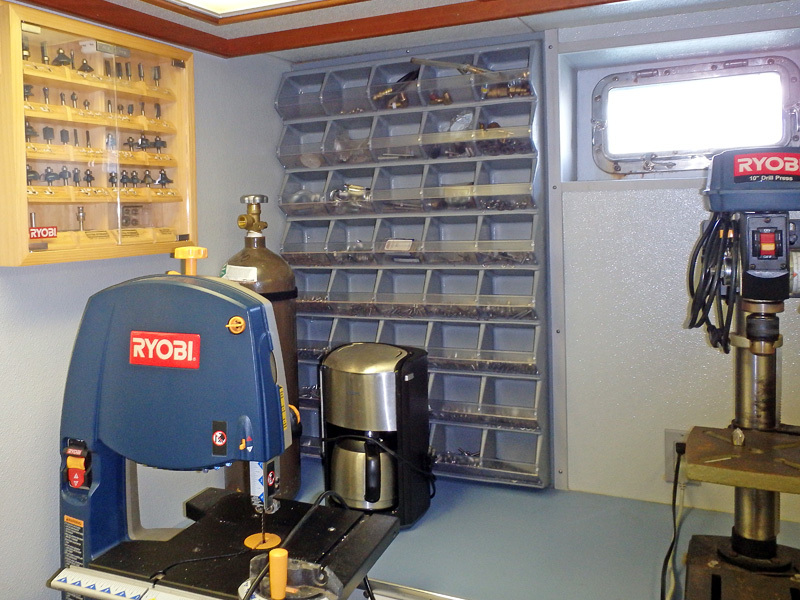 Regarding tool acquisition, it’s hard to know where to start and for many people it never ends, but there certainly are some minimums and some basics that every trawler owner should carry aboard. 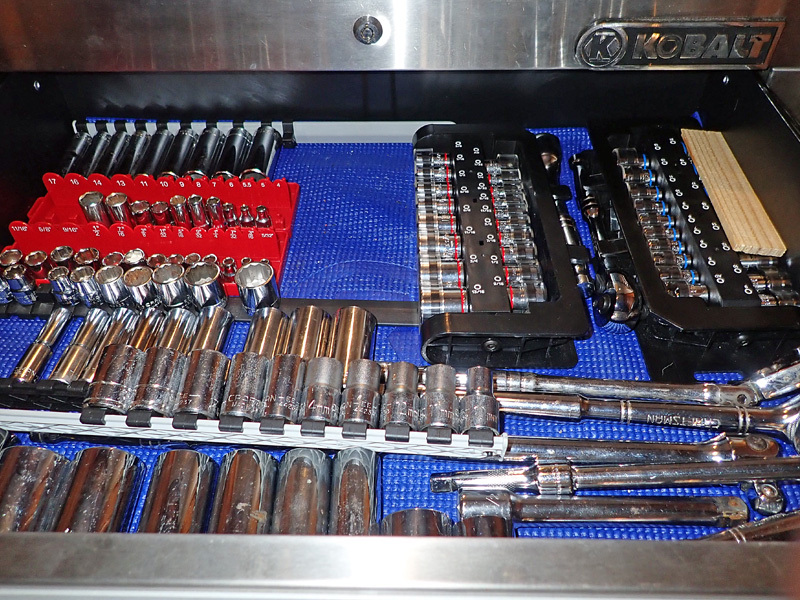 Kevin and Jeff went through Red Rover where Kevin revealed his accumulated tool stashes and we filmed a video to discuss some of his tool selections and how they are used. This is truly a topic that has infinite possibilities with no right or wrong answers. 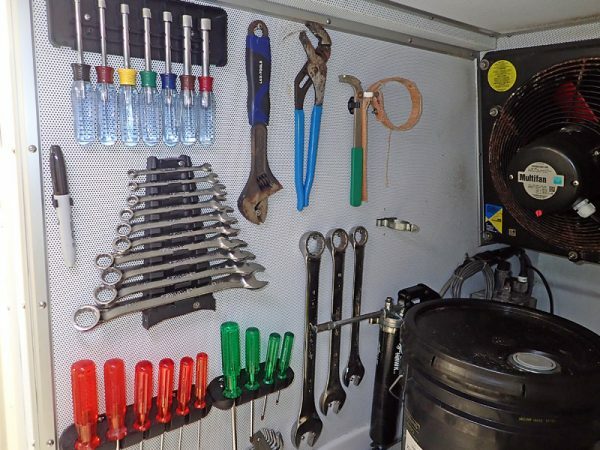 In this Trawler Tools section of the JMYS website we have included a library of photos to show how different trawler owners approach and handle the selection and storage of tools. There are portable tool boxes, buckets, cases and canvas totes. 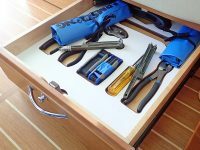 Some trawlers have built in roller drawer tool chests or strap down a large metal bank of tool drawers. 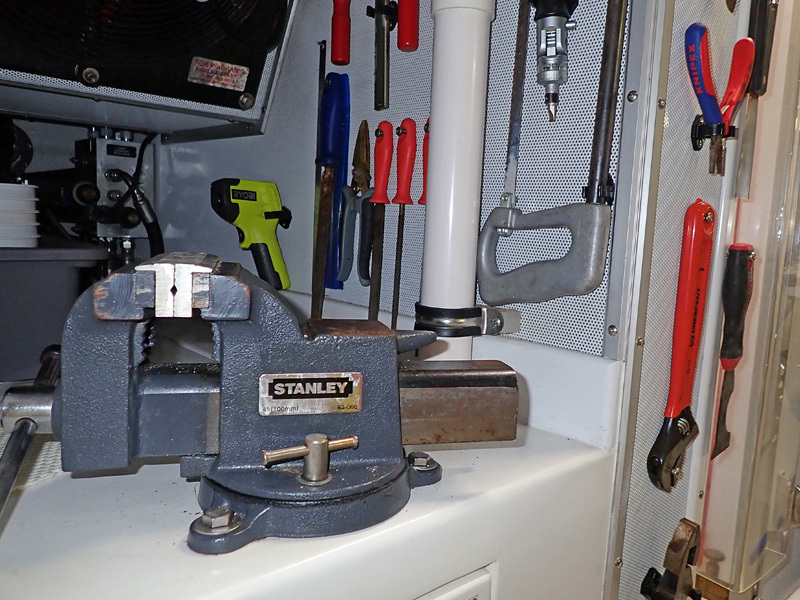 We have even seen some trawler owners create custom caddies to house specialty tools near where they are needed (like a pair of open ended and closed wrenches specifically for adjusting the stuffing box). On deck and at your ready in a flash, a Swiss Army knife can be kept in your pocket and a Leatherman multi-tool strapped on your belt. If your trawler is large enough, you may have room for a dedicated work bench with a vise, grinder and drill press. I’ve seen trawlers that could fabricate just about any part that breaks or needs repairs. With 3-D printers gaining in popularity I’m sure they are de rigueur for some of the must-have-everything types. 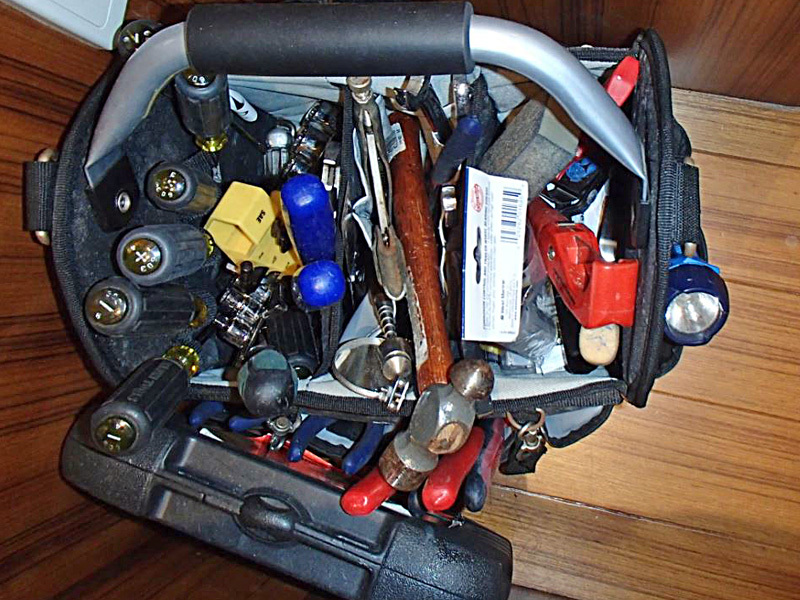 For most owners a stock 100-piece tool case from a hardware store consisting of screwdrivers, wrenches, hammers, saws, pliers, sockets, etc. is the easiest way to begin. 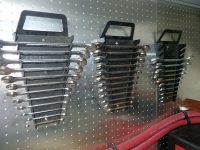 Having a general complement will cover most of your needs, but there are also specialty tools you will require like strap wrenches for filters and impeller pullers. 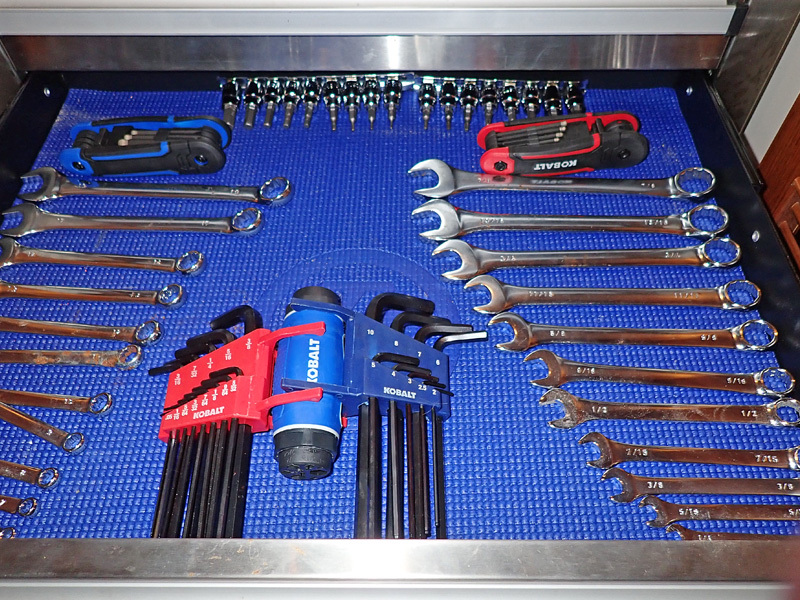 Much of your tool collection will probably be added to one project at a time. 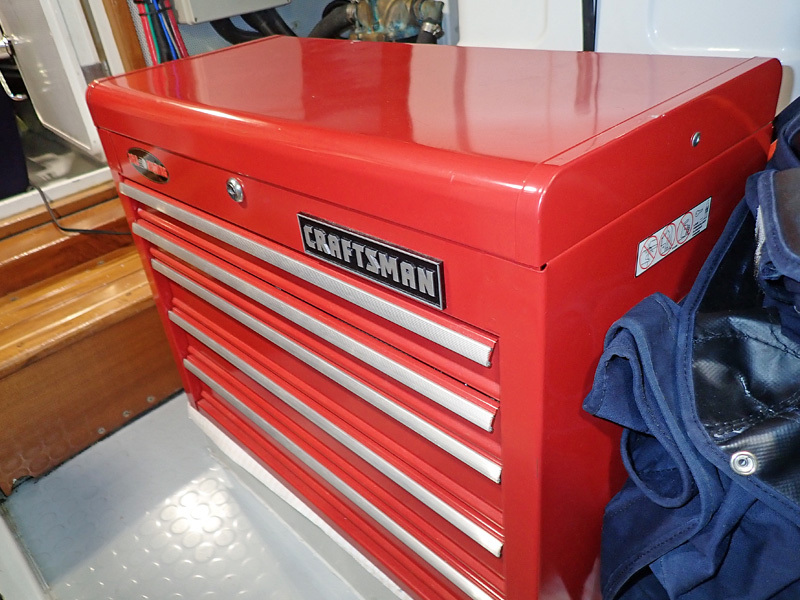 There was a popular saying a few years ago, “He who dies with the most toys wins.” I think you can substitute the word tools for toys, and you are close to describing many trawler owners. 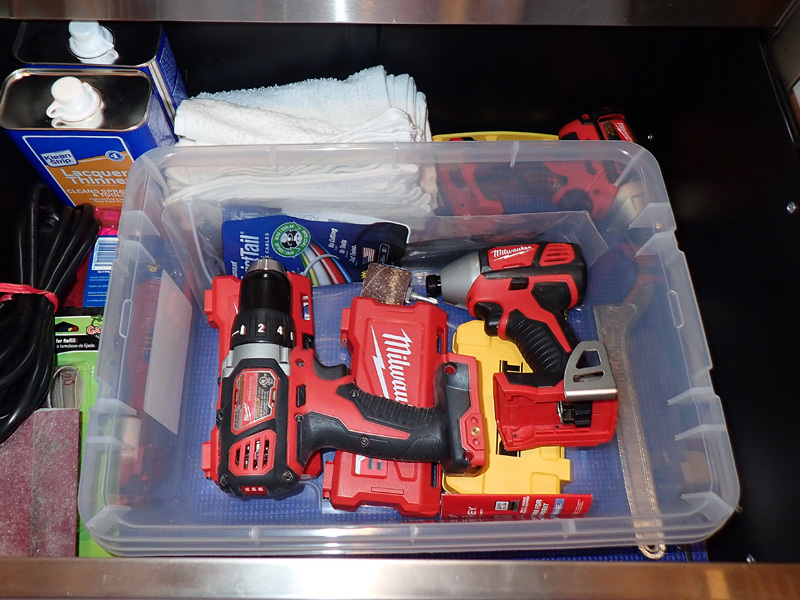 Tools are personal and, in many ways, represent the personality of the owners who use them. 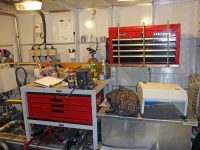 When a trawler is sold the question about which tools will be removed and which will remain is an important aspect to clarify. 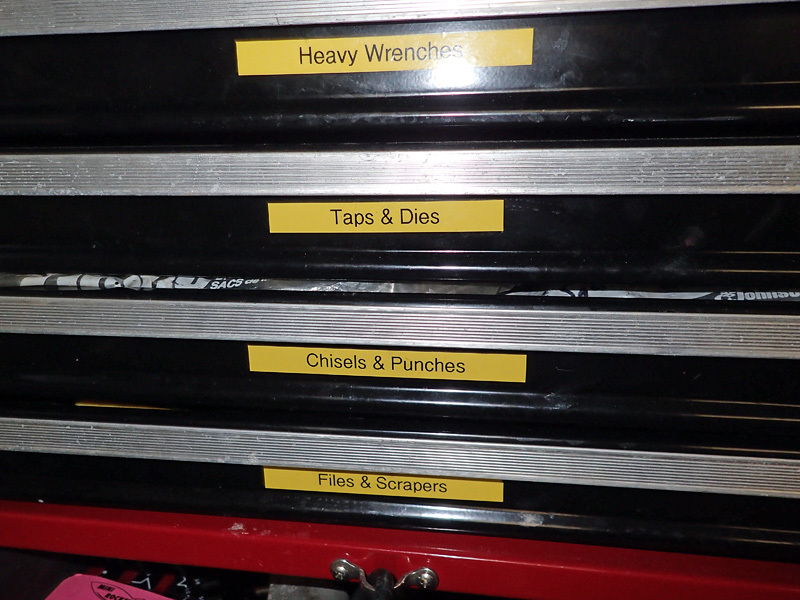 Useful tools are rarely discarded, and quality tools can be expensive. 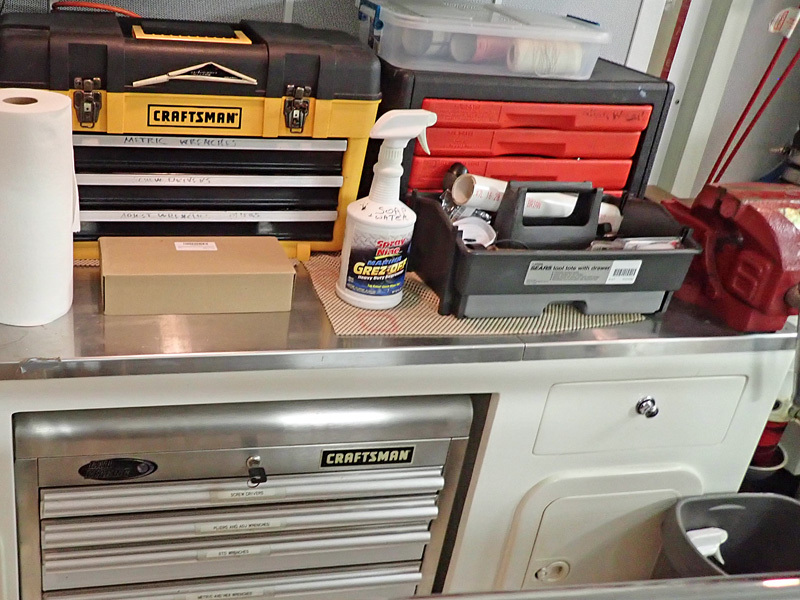 There is serious brand loyalty to Craftsman, Snap-On, Stanley, Matco, Husky, Kobalt, etc. 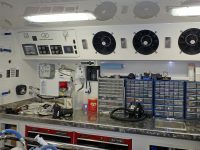 Every moving part on your trawler may need an adjustment; a lot of fasteners need tightening and many working parts need to be refreshed. 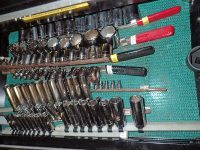 There are metric tools and SAE standard, there are dozens of screw head drives; Philips, slotted, Allen, hex head, etc. It’s easy to say that the key to it all is to have the right tool for the job, and if you don’t, improvise (and add it to your to-buy list when you get back to port). 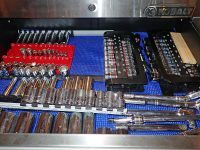 You also need to know where the tool you need is located so organizing like-tools in drawers or bins will shorten your search time. Some people outline them and place them on bulkheads. 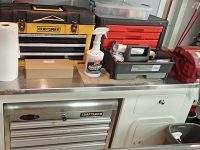 Keeping your tools fresh so that they aren’t exposed to salt air and moisture and don’t rust while napping between jobs is just as important. 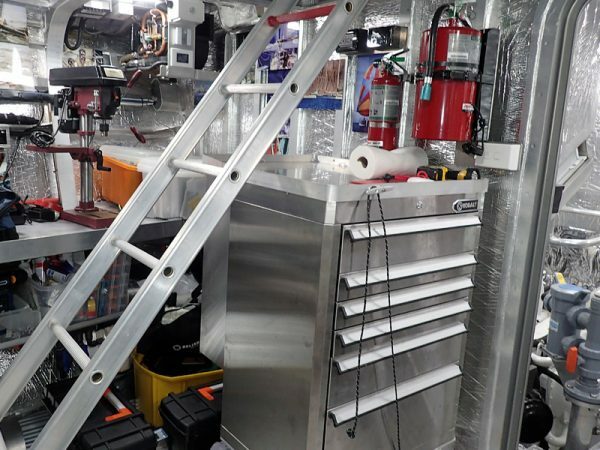 If you look at each on board system independently and visualize what will need adjustment, repair or replacement you can start to grasp the concept of preparation for the inevitable. 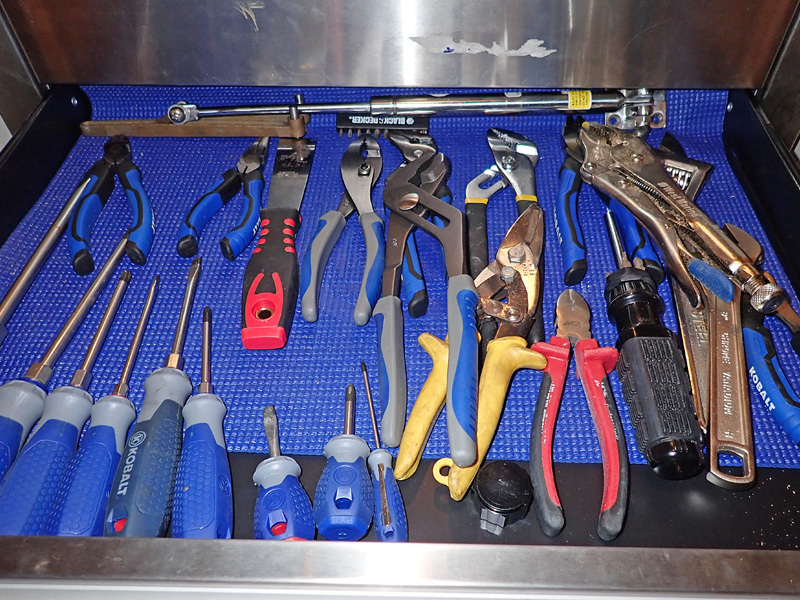 Almost every system on your trawler can be worked on using proper tools. 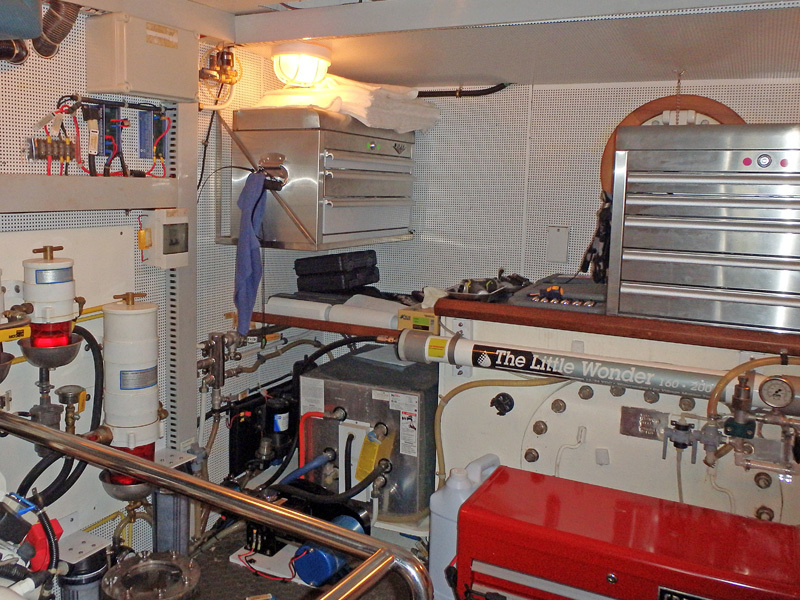 Engines and generators, galley appliances, ground tackle, steering, toilets, various plumbing systems, electrical, etc. 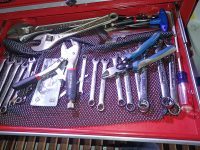 Review these one at a time and consult the equipment manual provided to see what is serviceable, what is repairable and which tools you will need to make adjustments and corrections. 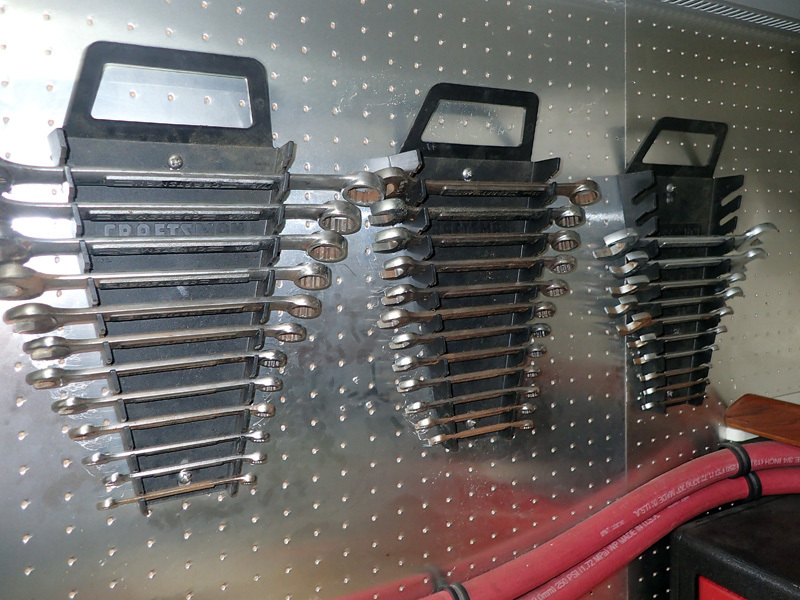 Think about all of the project words that apply to performance requirement for Trawler Tools; squeeze, tighten, loosen, adjust, cut, scoop, grab, pinch, plug, saw, screw, unscrew, mold, shave, flex, pound, grip, pry, pull, push, bend, crimp, press, sand, file, slice, extract, force, release, brush…well you get the idea. Trawlers move around, they roll and vibrate, and running through the water at different speeds in a variety of conditions provides a natural tendency for parts to loosen up. We hope you enjoy seeing what works for others and welcome your contributions of suggestions, recommendations, favorites and applications so we can expand this discussion. Please feel free to email your ideas to Jeff@JMYS.com and put “Trawler Tools” in the subject line, thank you! 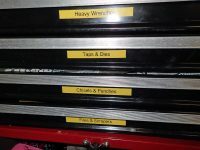 Below we share a collection of tools and tool collections in the hope that they will inform and inspire you.